A lot of my work involves characters from Biblical or mythological stories. In my versions they tend to make different choices from the ones they made first time around. Stylistically I have been hugely influenced by medieval art, especially misericords and illuminated manuscripts, which are brilliant at telling stories with limited means. 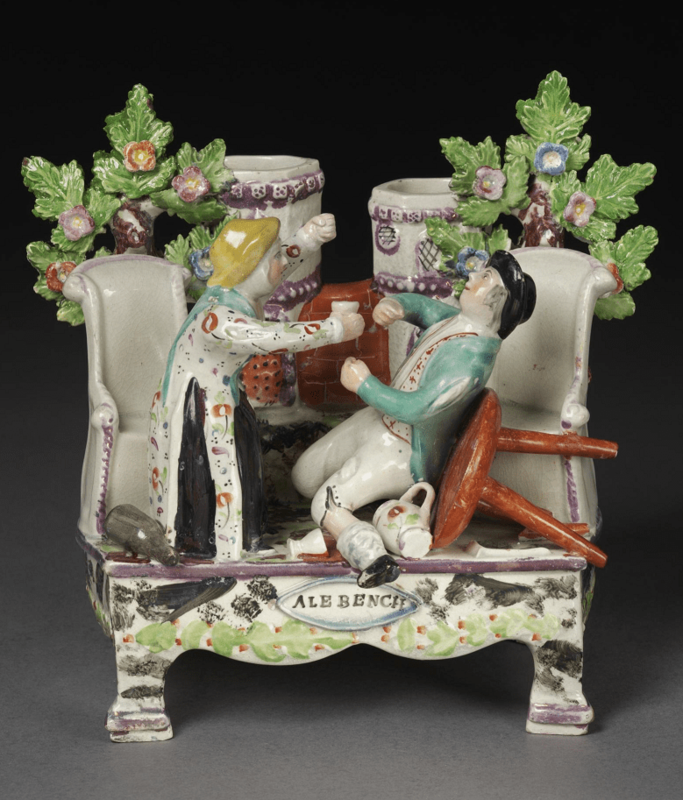 When it comes to ceramics, I particularly admire Staffordshire figure groups of the eighteenth century. The best ones (like this example from the Victoria & Albert Museum) have a directness and vigour which is hard to beat.